If you're thinking about taking a leisure vehicle style holiday in a tent, caravan, campervan, motorhome or caravan holiday home The Caravan, Camping and Motorhome show is a great place to start. From tents to the most modern motorhomes, luxurious touring caravans to compact campervans and spacious lodges, there's plenty of holiday ideas to inspire your next holiday, break or leisure pursuit. There will also be free towing and reversing tuition and advice on all aspects of touring from finance, insurance and security to the best tow-cars on the market. The Freedom To Go Theatre will welcome a number of guests throughout the show, including chefs, famous faces and industry experts as they share their top tips, advice and guidance. The perfect place to start if you're in need of some inspiration ahead of your next break. 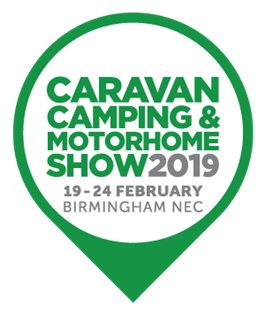 The Caravan, Camping & Motorhome Show 2019 takes place from 19th - 24th February at the NEC, Birmingham. Book using the code F2GW for your reduced ticket price here. Absolutely fantastic! The show has something to suit all your camping and caravanning needs and it caters for all ages which is great! A lovely day out full of excellent info, activities and lots of help and advice. Take a course Taking a course is a great way to boost your skills and preserve your peace of mind.